On May 21st, the CIRM governing Board approved the first two projects under CIRM 2.0. The Board awarded $17.7 million to Neostem, Inc. (now called Caladrius Biosciences, Inc. effective June 8th) for a Phase 3 clinical trial targeting skin cancer stem cells and $4.95 million to Cedars-Sinai Medical Center to develop a therapy for retinitis pigmentosa, a disease that often starts early in life and slowly destroys a person’s vision. The NeoStem award is the first time CIRM has funded a Phase 3 clinical trial, the final step to confirm safety and effectiveness before therapy approval by the Food and Drug Administration (FDA). The trial will enroll approximately 250 patients at more than 40 sites worldwide, including seven in California. On May 7th, the Food and Drug Administration (FDA) gave the green light to a novel CIRM-funded stem cell therapy for retinitis pigmentosa (RP), a disease which erodes the cells in the retina, the light sensitive area in the back of the eye that is crucial for vision. 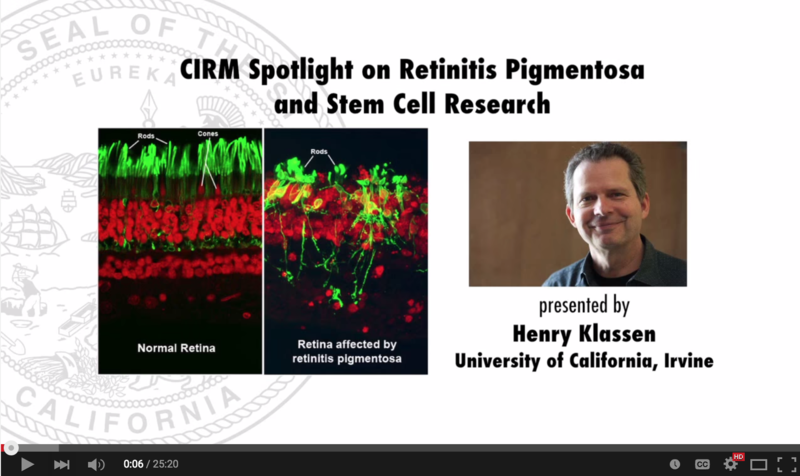 The trial, headed by Dr. Henry Klassen of the University of California, Irvine (UCI), will enroll up to 16 patients who will get a single injection in the eye of stem cells known as retinal progenitors. It’s hoped these will help protect photoreceptors that are not yet damaged by the disease, and even replace those that are already lost. 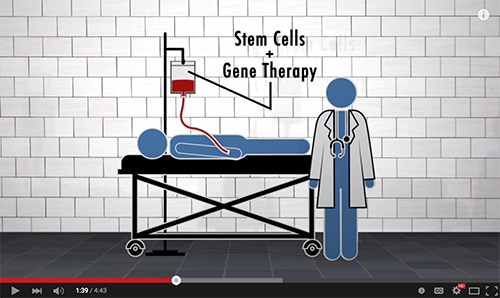 In May, CIRM posted episode 2 of its Stem Cells in Your Face video series as part of a new Genes + Cells blog feature. Using a mix of science, humor and easy to understand language, the video describes sickle cell disease and a CIRM-funded clinical trial at UCLA that is testing a stem cell and gene therapy cure. This awful genetic disorder causes red blood cells to assume a sickle shape, clogging blood vessels and producing episodes of excruciating pain, called crises, and leading to progressive organ damage. If all goes well, the human suffering due to sickle cell disease may soon be a thing of the past. This trial is one of the first to be part of CIRM's Alpha Stem Cell Clinics Network. The CIRM governing Board will hold a telephonic meeting on June 25th and its fourth in-person meeting of 2015 on July 23rd in the Bay Area. Agendas and details will be posted to the meetings page 10 days before each event.